Thanks to Quentin D. for alerting us to a fascinating poem-image collage narrative entitled L’Archipel Fantôme, set in the virtual space of Second Life, one of many lives known to the transmigrating cat. Though veiled with elegant self-effacement, this rêverie bears the signature, to our senses, of the master’s hand, mind and spirit (though it is not his own, as we have learned post-post). The archipelago, as thought-form, experience and poem, visualizes the concept of both the ancient art of memory and the bricolage of Second Life itself, a string of geographies with traversable passages between them: a hyper-natural arcade within which the poet-flâneur is guided by his avatar. The themes of fleeting personal sightings/meetings with a friend-stranger, of discreet moments of bonheur à deux that provide the emotional atmosphere of La Jetée are here, woven concisely into the stanzas (“Nous nous étions promis de nous revoir”). The tricks of sight and memory are at play: most of the images seem phantasmatic, a mix of dream, hallucination and cinema: sometimes invisible, sometimes semi-transparent, sometimes caught within the process of mutation from one state of being to the next. The quest is less that of Marker’s photography, to capture as in a hunt, than to live within the indecisiveness of these states of image and perception. Throughout, there is a pacing that is clearly remniscent of La Jetée and, further in the background, of the essay film, with its dense meaning yet light touch that transforms documentary into veiled self-portrait. Here the commentary of the essay film has migrated into poetry and so further condenses, like a white dwarf star. The voice seeks to find the phantom angel girl, not wishing to exhaust the images (or the angel) with words, only grace them with the touch of another medium, as if the image and the word were old friends, each aware of its particular powers, its valences and its limits. As in Sans Soleil and the book Staring Back, we brush up against the theme of the regard of and from the other. It is not now the length of a single frame of film, 1/24th of a second, nor of the desiring, voyeuristic photographer, but rather a gaze that sees through and beyond while remaining completely present. The gaze of the other shifts from an object of capture to a shared moment of being-together, inscribed emotionally rather than technologically. This is the feel of the encounter with the girl angel, black-haired with a hint of dreadlocks, pale, freckled and clothed in black. A fallen angel? Perhaps. Or an angel of history. The presence of the encounter takes place within a respect for the intrusiveness of words: “J’évitais d’être trop bavard.” This respect keeps the encounter within the air of mystery that the seeking itself breathes. It also slyly refers to the over-abundance of words in the spaces of social networking, and how silences and listening can be as important as constantly informing an interlocutor, a stranger-friend, of every last detail. Restraint of voice becomes a respect for the miracle of the encounter, and for the unknowable palimpsest of identity. The masks of avatars reveal something already true in the event of meeting another human being: s/he is more than meets the eye. What do we really know, in an encounter, of the past, the durée, the origins and trajectory of this being? Just as space is fluid, so too is time and memory. The poem speaks of “Deux jours, deux semaines / ou deux mois plus tard, je ne sais plus…”. Objects share this fluidity, and their world a sense of animism, as if all creations within this world were in some manner alive, negotiable in their being, ephemeral and evolving. The world is presented as a puzzle, or rebus, something to be put together to form a whole, itself part of some greater whole … in fractal succession. The older media are not lost in this space; they become the content, as McLuhan (for whom Marker “gave up Gutenberg long ago”) promised, for the new medium: so projectors of film are themselves fluid objects embedded in the landscapes, sometimes floating freely in the air, at other times installed in intimate spaces that represent new ways of situating the moment of spectation. The question of authorship is unimportant as fact, though it has its particles of evidence: references to Giradoux, to San Francisco (one thinks of Marker’s intensive encounter retracing the temporality and spatiality of Vertigo), to Cuba, to owls. Throughout there are images of the markerian past, including floating cubes holding images of Le Joli mai, Le Fond de l’air est rouge, Le Mystère Koumiko, and the recurrent image of Guillaume. In the thank you note on the site, the other Guillaume, Guillaume-en-Egypte, is credited as “assistant d’un photographe et vidéaste dont certaines images apparaisent ici furtivement.” That the whole production could have been put together by another, an imposter, a Marker simulacrum, only stitches it tighter into the weave of his oeuvre. As with authorship, identity and authenticity, the primacy of the human is blurred too. Animals, angels, aliens, architectures and machines all co-exist in the phantasmatic space within which each traversing, each leg of the journey, becomes a unique experience—not re-playable, not monumentalized in any history, not encapsulated in a product with beginning and end, and as such marking another chapter, a further evocation of Marker’s “Farewell to Movies.” But every farewell holds within it the possibility of new encounters, and this work is a testament to those, even as these new encounters hold out finally the message of their own disappearance and sense of loss. Were we discover that GEE has found the notice describing how to build Morel’s machine. This 2nd site you refer us to is fabulous, another eye-opening experience. Wow. I can only thank you again, M. Ugajin. I’m curious, when you say “created by” I wonder if the site i discuss was a collaboration and Lucien, who I’ve (virtually) met too, supplied the blogger know-how with Chris creating the montage and poetry, whereas the 2nd site, the one you link to in your comment, seems like the creation of M. Bookmite solo but implying some time spent in deep conversation and visitation with CM. Any light you might shed on this, despite my caveat about the perils of ascribing authorship anymore, or even wishing to, would be illuminating. I transgress my own theoretical goals, but … it happens. Curiosity got the cat, after all. I may be wrong but I think both sites are from Lucien “solo”. I’ll ask him the next time I see him in Second Life or better you could ask him directly (with my help if needed as he told me his english is not so good). We are both “members” of the “Ouvroir” group who was initiated by MosMax who designed the sphere museum. What is your avatar name ? Quentin – thanks for the note on the comic book. That is a must-get, for sure. Eupalinos: I did write Lucien – we’ve exchanged a few emails in the past and i dug up his address. I, alas, am not even a noob in SL. But I do plan on diving in and making my stumbling bumbling way to the Ouvroir, by hook or by crook. I will let you know my sorry avatar’s name then! I ordered a copy @ tanibis.net. Thanks again! Merci! 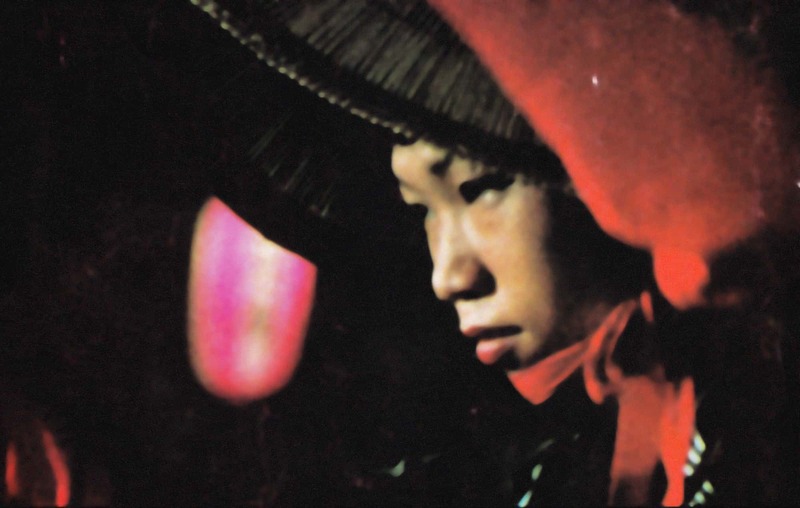 Was the Ouvroir made by Chris Marker or not? I’m confused.